Sweet and soft Red bean steamed buns. It is also known as bao or kuih pau. 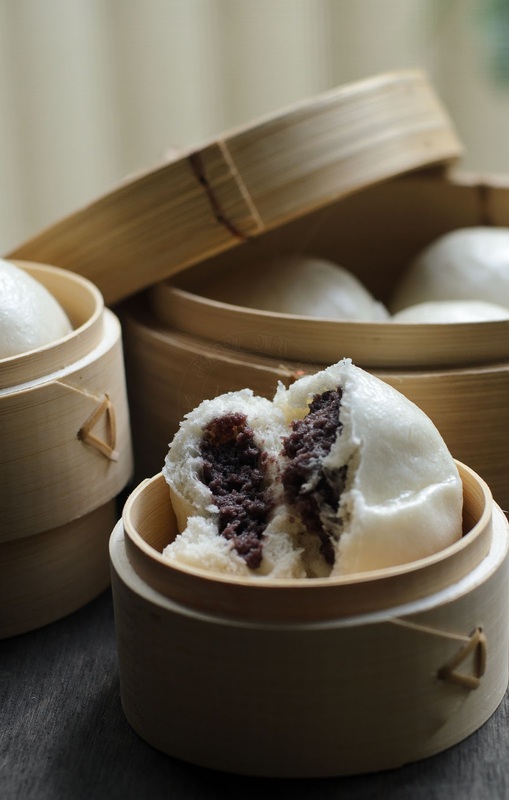 Chinese steamed buns are known as Bao (to majority of the world) and commonly known as Pau in Malaysia. Steamed buns can be eaten with fillings or without. 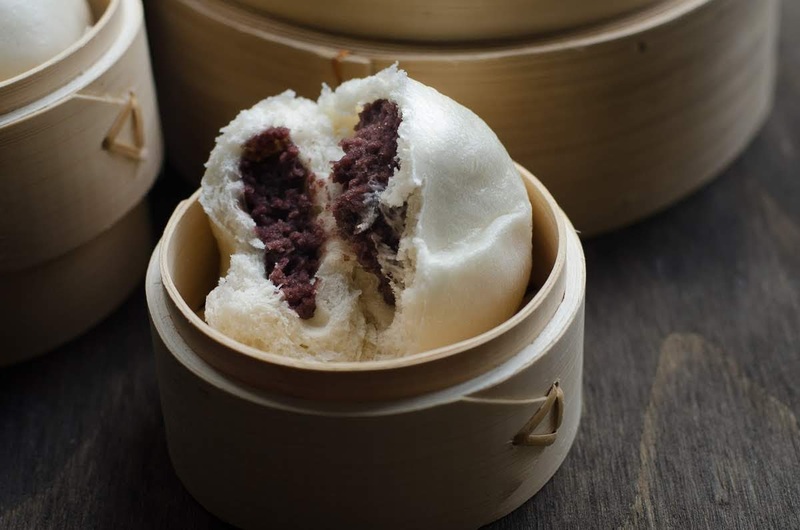 Steamed buns are filled with sweet filling like this Red bean steamed buns, coconut jam (kaya), sweet mung beans or sweet coconut filling. 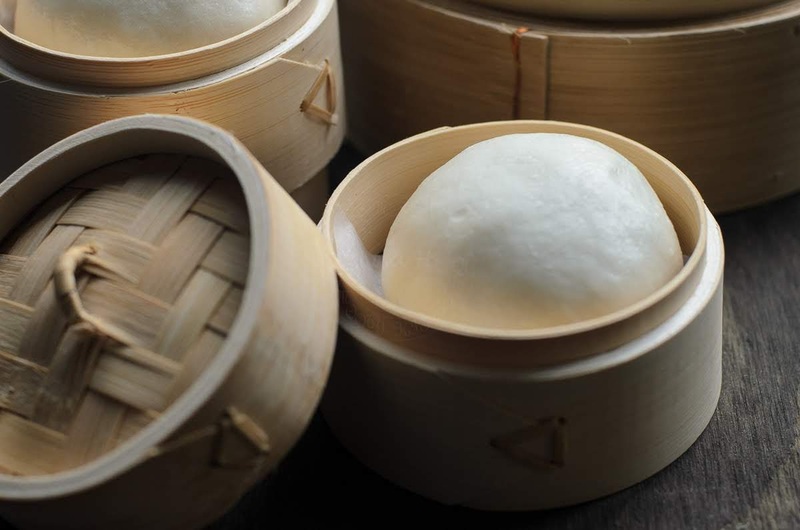 Steamed buns are eaten for breakfast, lunch or dinner in some country as their staple food. I love steamed buns, especially Red Bean Steamed Buns, Black bean steamed buns and Chicken curry steamed buns. Among the three mentioned above, I love the black bean steamed buns the most. I have not had any black beans steamed buns for many years , and I believed that they no longer made the black beans steamed buns any more! My late dad used to buy us some steamed buns whenever he went out of town for work, and whenever he passed by Tanjong Malim, a small town in Perak, Malaysia (famous...not too sure whether its still is) for its steamed buns. My dad would get few chicken curry steamed buns, red bean steamed buns and black bean steamed buns. They were still soft and fluffy after few hours of travelling on road. My least favourite would be the Sweet coconut steamed buns. I tried my hands on making steamed buns before... sadly, none worked out well. About to give up on making any steamed buns.... until my sister sent me a copy of this recipe few years ago. Then again, I was hesitating, because I do not have that ONE ingredient! First time I came across the item. Seriously... where can I find double action baking powder in Perth!!! If you are wondering where to get your hand on double action baking powder, do not worry!! Your pantry baking powder works just as fine. I experimented twice, which means we get to eat steamed buns to our heart content :). very little difference in texture. Without double action baking powder may have very slight next to minuscule impact on its fluffiness. It was still much .. much better, vast improvement from my last ... embarrass to mention many attempts!!! Watch my video below on How to make red bean steamed buns and do read my notes below on how to enjoy your red bean steamed buns the next day. 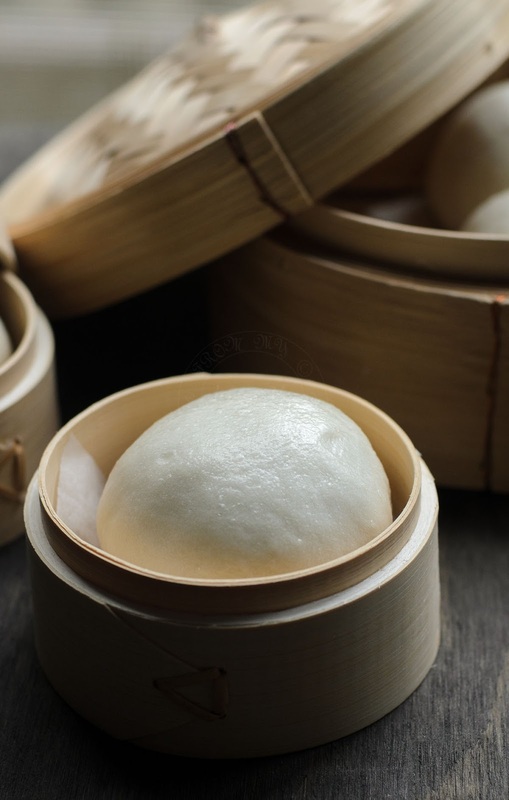 Sweet and soft steamed buns, known as bao or kuih pau. 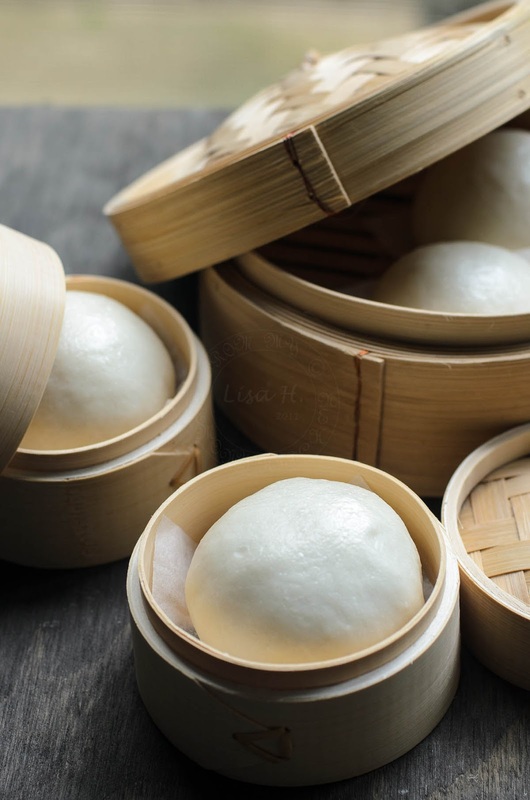 Fill these steamed buns with sweet filling like adzuki beans paste or savoury like chicken curry. Or have it on its own as mantou. Mix and bloom yeast in lukewarm water. Stir and leave it aside for 5 minutes. In a bowl, mix Hong Kong flour, baking powder, sugar. Add vegetable shortening and knead again to a smooth dough. 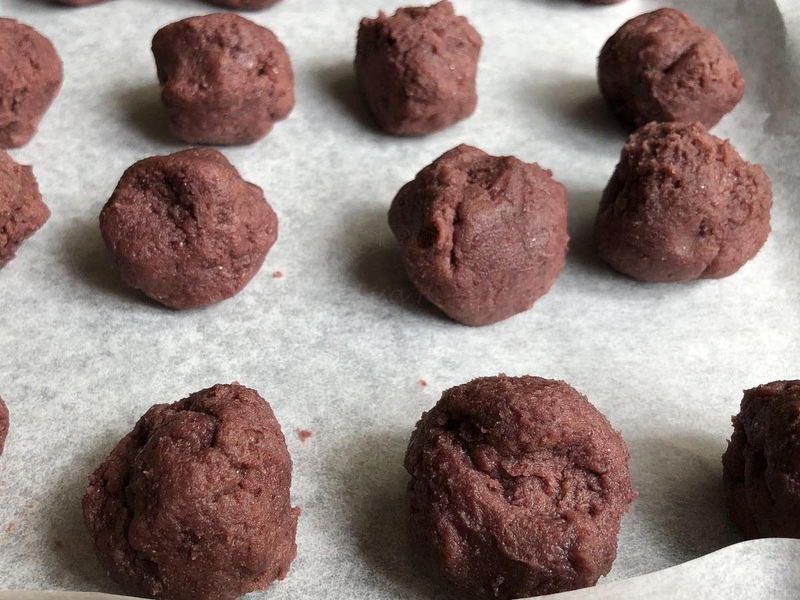 Roll into a ball and flatten the dough into a disc. Enclosed red bean ball with dough, seal and making sure no openings. Repeat with remaining dough and red bean balls. Cover with muslin cloth/ cheese cloth and proof for 30 minutes. After 30 minutes, start the steamer and steam on high heat for 7 minutes. Read note for other minor details. Wash and soak red bean for 30 minutes. Once cooking red bean is done, strain off the water. Remove and further cook red beans in a medium size pot. Use a stick blender and blend into a smooth paste. 1. Substitute double action baking powder with our pantry baking powder. Not much difference in texture. 2. No time to make red bean paste, just get the store bought red bean paste. Do note that the store bought red bean paste will be too sweet (for my liking). 3. 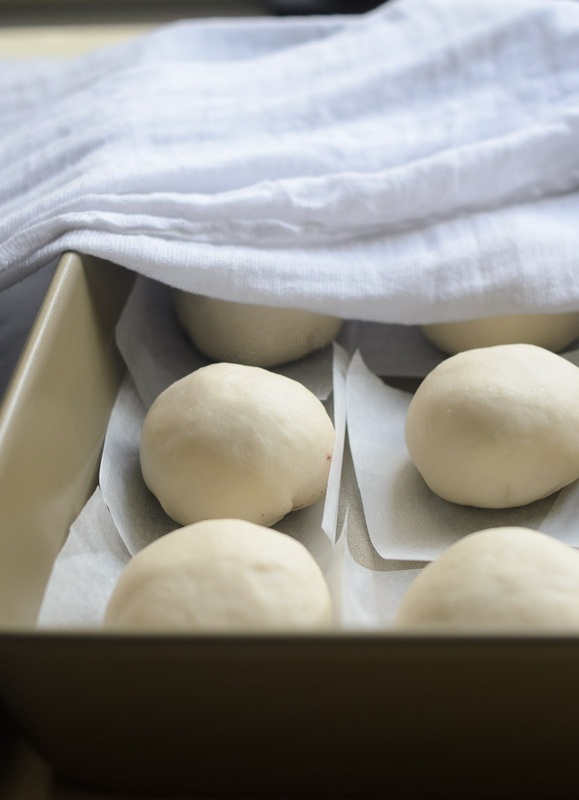 Red bean steamed buns will not stay soft and fluffy the next day. Not to fret much, re-steam or microwave for 30 sec. 4. You can freeze the remaining buns. 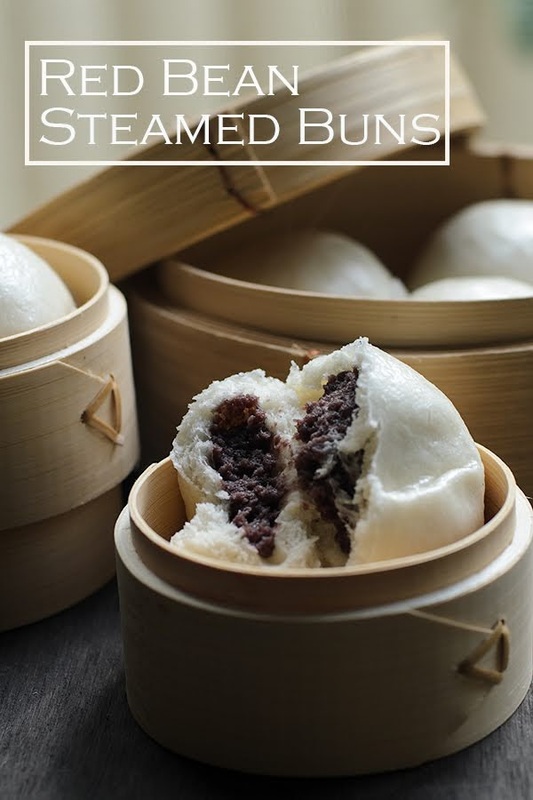 Re-steam or microwave to have soft and fluffy baos/ pau anytime. Hi Lisa... Tq for sharing the red bean steamed bao/pau.. I have tried many pau recipes but yr recipe is the best.. simple steps. .its awesome soft fluffy pau.. My husband love it... But I use plain flour and normal baking powder...cos in Jeddah, Saudi Arabia don't have bao/pau/hongkong flour.. but it is still soft smooth fluffy pau... Thank you again for your recipe..
Hi Lisa, can use lard for shortening. Yeast is active dry yeast. I only use vegetable shortening as I don't consume lard.